We sell directly to homes all over South Pembs every Friday via our box scheme which is the shortest possible route from our field to your plate. Most of our produce is grown Organically here on our farm near Tenby. We also source other produce as locally as possible to give you a great range with as low food miles as possible. 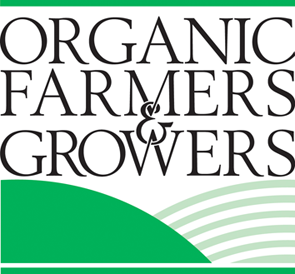 We've been Organicically certified since 1999 meaning all the produce we sell is grown to Organic standards. All our produce has been grown without the use of any Pesticides and/or Herbicides. Our Family Box contains 9 lines of seasonal vegetables. We usually include some staples such as Potatoes and Carrots. You can specify likes/dislikes and we will endeavour to substitute. DELIVERIES HAVE NOW FINISHED FOR THE WINTER 2019. WE WILL RESUME IN JULY 2019. Our Small box contains 8 lines of seasonal vegetables and should supply a smaller household. The contents of the box are similar to the Family Box but smaller in size. You can specify likes/dislikes and we will endeavour to substitute. We deliver to your door every Friday between 0900 and 1830. There is absolutely no commitment. Some customers have orders every week, some every fortnight and some order ad-hoc. We run an account system for regular customers so you don't have to leave cash. We offer a Bespoke box option so you can build an order of exactly what you want. The minimum order is £9 and there is a nominal £1 delivery fee with each order. Orders need to be submitted by 2300 on a Tuesday for delivery on Wed or Fri. Please use the "order here" link above to access the online shop.